His face had absorbed plenty of punishment over more than 650 games in the National Hockey League, getting bruised, battered and cut. None of that explained the swelling. He took pictures of it. He went to see a doctor about it. They told him it was idiopathic — there was no known cause. 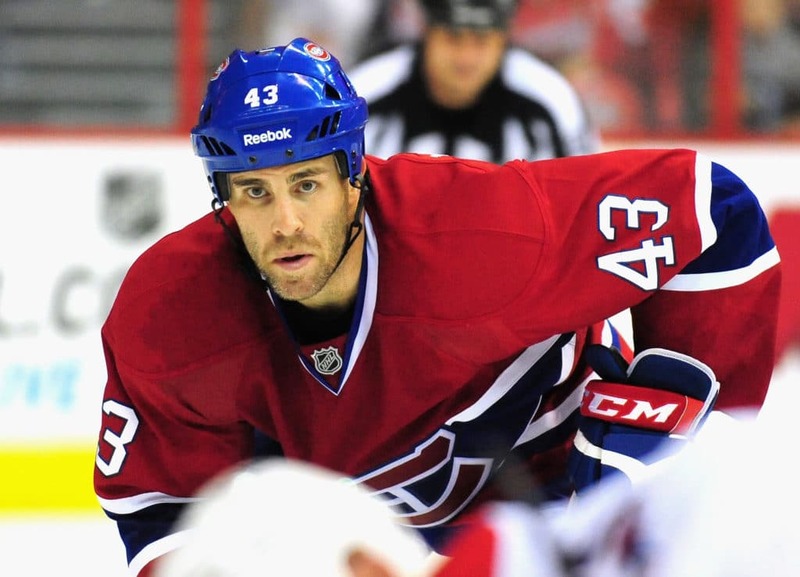 Despite having never been drafted, he spent more than a decade as a defenceman in the league, making stops in Atlanta, Los Angeles, Vancouver, St. Louis, Florida and Montreal. He made a living deeper on the depth chart, fending off challengers through film study, practice and professional evolution. Indirectly, that precariousness helped direct him to where he was at a midtown Toronto coffee shop this month, smiling and busy. Weaver said he endured a period of depression when his career ended, but the steps he had taken to prepare for what he called his “afterlife” helped ease the transition. He operates a high-level hockey school, Defence First, in the summer. He also co-founded a platform that helps modernize the way coaches at all levels develop and execute practices, with Coach Them, a web-based depot for drills and plans. Weaver was never a lock to crack an NHL roster, so in his second year at Michigan State University, he said he took a kind of career aptitude test. It suggested he had an aptitude for computers, which he then built into his course calendar, signing up for classes in web design and software development. In elementary school, he remembered assembling his parents' complex stereo system without the aid of an instruction manual. The family had a rudimentary computer when he was growing up — the famous Commodore 64 — and it fascinated him. That fascination followed him to the NHL, where he kept an eye on his life after hockey. He is chief executive of the coaching platform he co-founded with former NHL goaltender Robb Tallas, and he said several NHL teams are now on board as clients. Weaver said around 2,500 coaches are using it regularly, and that the company is in talks to expand its base. Weaver, as the father of two, is also a minor hockey coach. His said his company's platform would allow for a minor hockey association to upload approved or preferred drills, and send them out to coaches at all levels. “I think coaches don't understand what's at stake — their responsibility,” he said. “They think, 'OK, I'm going to have a team, that's great, we'll be able to win some games.' But you're responsible for 15 kids, to develop them. Weaver runs his specialized hockey school over the summer. He will work with close to 250 players over the course of a month this summer, and that he has worked with clients from as far away as Russia, China and Sweden. He has also spent time helping with the flooring business his father founded with his grandfather. Where does his retirement plan have him in the next three-to-five years?